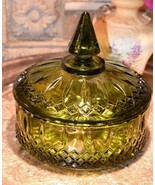 Product reviews for "Indiana Glass "
This pretty, avocado/olive green candy dish sparkles in the light; it is truly a beautiful piece! It is heavy weight and substantial. 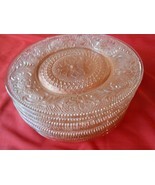 It will look wonderful on my coffee table!